Robert joined the family farm in Duxford in the mid-70s and has transformed the business from a 1,000acre cereal farm to a large vegetable-producing enterprise over 2,800 acres, which has involved overseeing many building projects. Russell Smith Farms produces potatoes and onions for all the major supermarkets, both conventionally and organically. The farm also has a high sustainability ethos, with wildlife and conservation being at the heart of what it does. It is a LEAF demonstration farm, a Waitrose demonstration farm, and it hosts many visitor groups and an Open Farm Sunday event each year. It was also a recent finalist for the prestigious Silver Lapwing Award, and has won many other awards for conservation and farming. 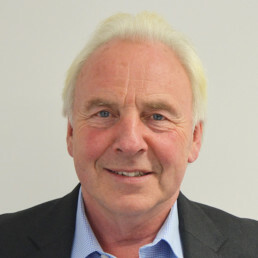 Robert is also a shareholder and non-executive director of Produce World, a vegetable packing business that works with all the major supermarkets and has a turnover of £250m per annum.